February made me weak. I’ve slipped on ice, spilled my coffee, and had ice chunks settle nicely into my boots. The man on the news last week told me that if my skin was exposed to the cold air for even just 15 minutes that I was at risk of frost bite (and considering I lost one of my mittens, this now becomes a grave concern). 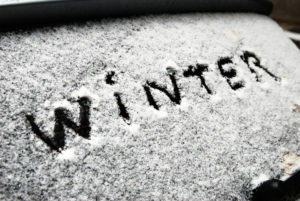 With the harsh weather conditions lately, even just making it to your car in the morning can seem like a feat. This month seemed as though nothing and no one is spared from Mother Nature’s power – our security systems included. Below are three common weather-related problems the Physical Security Industry has been facing, and some best ways to handle them. Awareness of these weather-related breaks in service can be critical in protecting what is most important to you or your organization. Problem: Gate Tracks Freezing – When there is ice, dirt, and moisture present on the tracks that your gates run along it quickly hardens in cold temperatures. This stops your gate from being able to run it’s normal course of opening and closing. The built up residue will often bounce the gate back and throw it into alarm. Solution: Run your gate every 15 minutes to break up any ice residue. DO NOT use deicer. This will wear away any belts used to operate hydraulic gates. Problem: Power Outages – Often when the power goes out an entire system can go down if there is not a back-up generator. The outage can also be building specific. These outages remain until an electrician can get on site and get power up and running again, and even then certain security equipment or software may not boot back up properly. Solution – Have a service and maintenance plan in place. Ensure you have a reliable security-specific service provider who will be able to come on site with knowledge of your specific equipment and software to get them back up and running properly. Problem: Any time moisture is present cold temperatures can be an issue. Even just a couple drops of water in conduit or fiber can freeze, therefore expanding which can break fiber and block space in conduit which would have been used to pull cable through. Solution: Seal off any openings to prevent moisture from getting in. To help remove existing moisture you can use an air compressor to blow through the conduit. Are you experiencing issues with your security system? Contact NextGen Security for more info and how we can help.